Disregard anything you have read about Nicole Kidman being ‘unrecognisable’ in Karyn Kusama’s dour crime drama because, whilst it is true that of the myriad characters and character types she has played since those heady days of BMX Bandits, she has never tackled anybody quite like this before, the only way you could possibly fail to immediately identify Kidman as Erin Bell, a sozzled, guilt-riddled detective hell bent on revenge, is if you were completely oblivious to who she is and anything she has done before. Therein lies the problem for performers as prolific and high-profile as Kidman in that, no matter how hard they try to transform themselves, both physically and/or emotionally, into the characters they are playing, their fame always precedes them and makes it all but impossible to completely disappear into a role. Having said that, Kidman certainly commits to rendering Erin as a woman who has seemingly dispensed with any sense of personal or professional well-being. To put it mildly, Erin is a mess. She is haunted by events of the past, her physical and psychological health are at breaking point, she is an object of derision amongst her peers and her relationship with her teenage daughter Shelby (Jade Pettyjohn) has reached a level of disintegration that is perhaps beyond repair. Possessing a personality that makes Dirty Harry seem positively chipper, hers is a life devoid of any joy, such are the memories that have remained since an undercover operation went wrong some 17 years earlier. Thus, when one of the key players from those events resurfaces, Erin becomes hell bent on tracking him down. 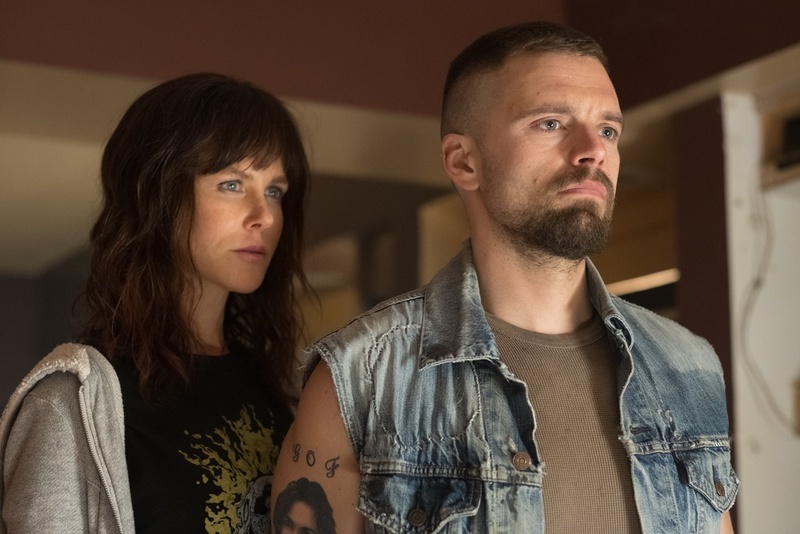 The story alternates between the present day and flashbacks to her time spent infiltrating a criminal gang in which Erin (a digitally de-aged Kidman in these scenes) and fellow officer Chris (Sebastian Stan) find themselves compromised and questioning their loyalties. In fact, it is a decision that she and Chris make prior to the operation going awry that makes it impossible to have any sympathy for the state Erin now finds herself in. Although she never quite reaches the level of decrepitude of Harvey Keitel’s Bad Lieutenant or, more recently, Christopher Meloni’s maniacal Nick Sax in the television drama Happy, Erin is mired so deep in her own misery and self-loathing that she seems beyond salvation and that is never going to sit well with those viewers who demand happy endings or, at the very least, likeable characters, neither of which are on offer here. Kidman brings an impressive physicality to her performance that tells us so much about a woman seemingly broken beyond repair. With vacant eyes, pale lips, sallow cheeks and a state of being that verges on the catatonic, she walks with a gait as if being literally crushed by the weight of years of abuse and self-loathing. The film clearly owes a debt to character-driven 70’s classics such as Serpico and The French Connection, but it also feels remarkably contemporary with cinematographer Julie Kirkwood capturing the Los Angeles setting in all its gritty, grimy glory; those unfashionable neighbourhoods that are a stark contrast to the palm tree-lined boulevards and mega-mansions of the rich and famous. In what might just be her best role since To Die For back in 1995, Kidman delivers a performance that is every bit as bleak as it is bold and she is well supported by the likes of Stan, Bradley Whitford, Tatiana Maslany, Toby Kebball as the object of Erin’s obsession and Scoot McNairy as Shelby’s father Ethan, a nice guy whose parenting is every bit as ineffective as Erin’s, albeit at the other end of the spectrum. A couple of good action sequences, in particular a chaotic shootout during a botched bank robbery, are well constructed by Kusama (Girlfight) and provide some relief from what is an otherwise grim, downbeat delve into the psyche of a woman in ruins. 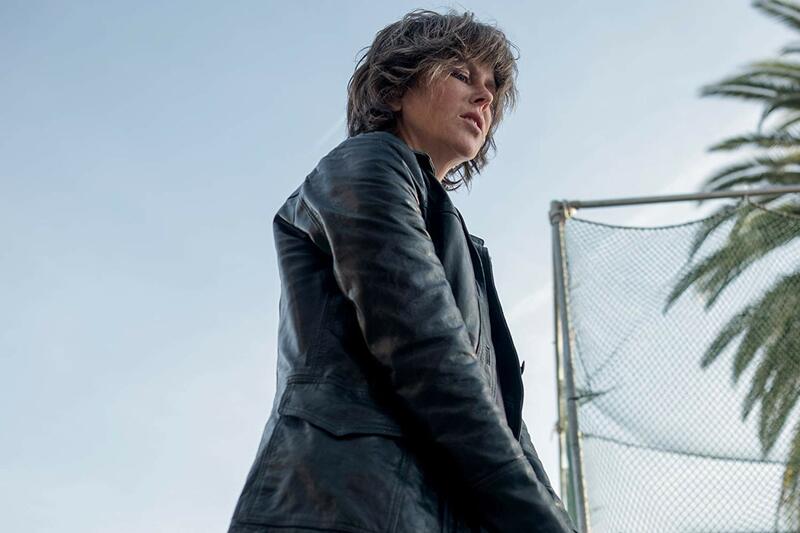 It might not sound like fun, but Destroyer dishes up perverse pleasures, not the least of which is seeing a woman afforded the opportunity to take on the type of role that, until now, has been pretty much confined to men.